We were asked to assess a damaged Bifold that had its active panel ripped off in a windy storm. This Bifold had its active panel ripped off in a storm. this is the panel that was pulled off in the wind. You can see some of the damage to the hinges. The doors,hinges, perimeter jambs and head, and the seals were all damaged in the storm. only a new bifold would be appropriate, repair was out of the question. all loaded up the sunday afternoon before the install. 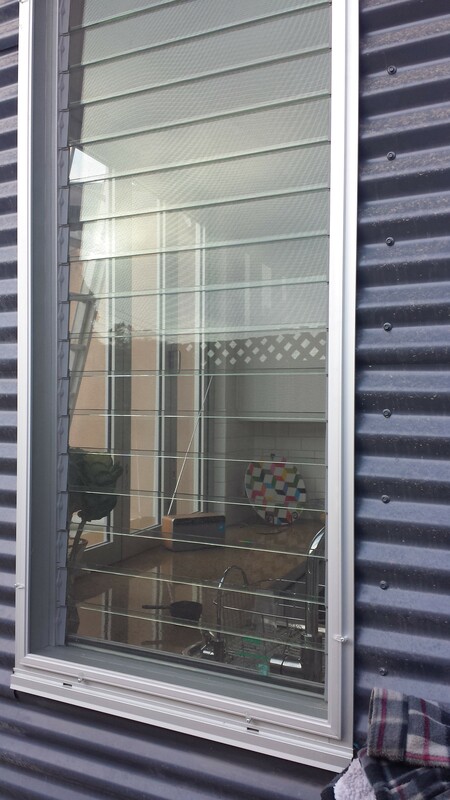 Clear anodise 5 panel bifold door. Hawkesbury suite from ALSPEC. All clear/natural anodise commercial framing. The doorframe has 2 doors, one panel smaller than the other. With invisiguard security screens. 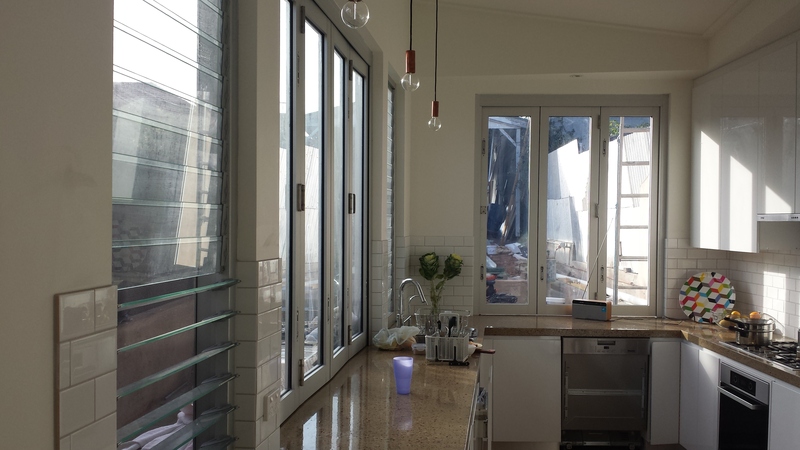 The bifold window is using CENTOR hardware and is top hung to allow for a marble servery to be used. 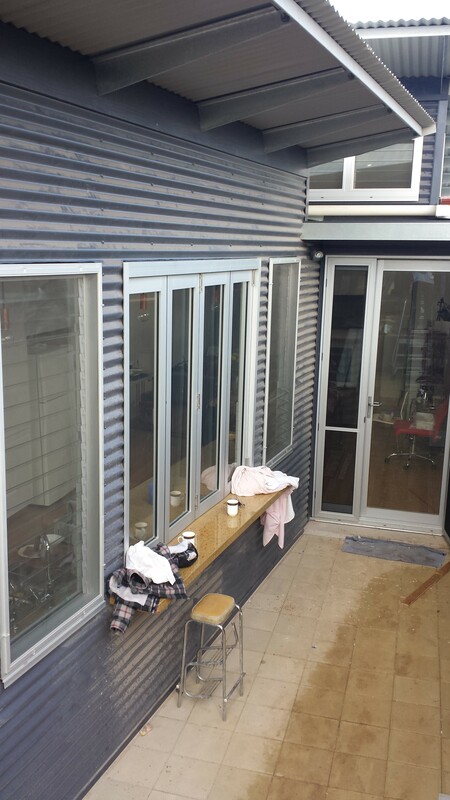 The doors, bifold and louvre blades are also glazed with LOW-E comfort plus glass to keep heat out. The place looks great. 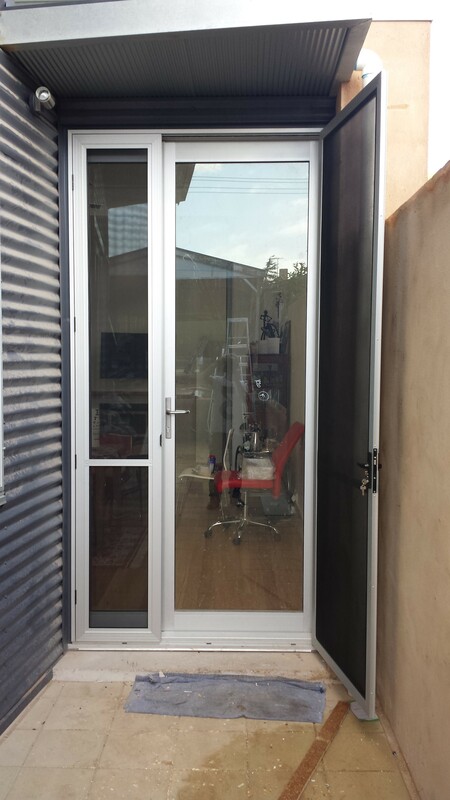 4 panel WRC bifold door + arched front door. I glazed this job on the weekend so it is now finished. Arched front door with white transluscent glass. 4 panel bifold door. 1 active door opening left, the other 3 panels folding to the right.